Researchers are working on tiny, wristwatch-size atomic clocks that stay as accurate as larger clocks, yet consumes little power and costs less to build. These smaller atomic clocks could back up the atomic clocks in GPS satellites. One day they could be part of every GPS receiver or provide timing for communications of all sorts. 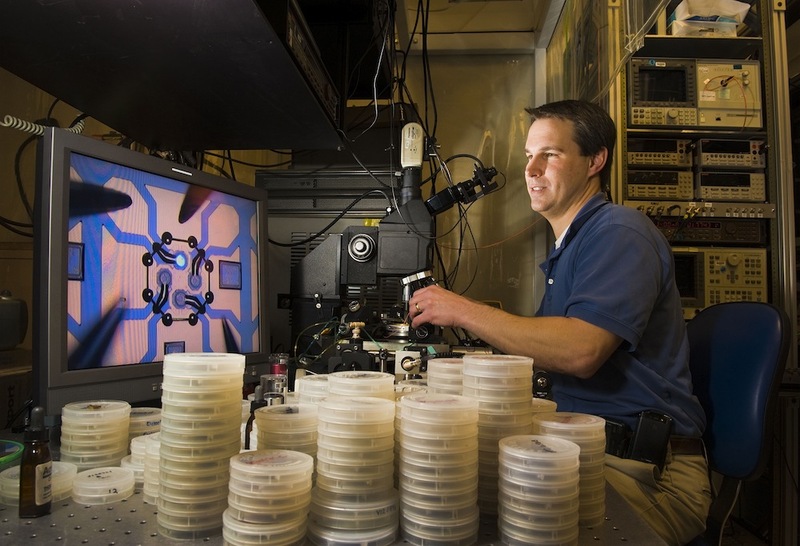 Sandia National Laboratories researcher Darwin Serkland measures the wavelength of a tiny laser for chip-scale atomic clocks.